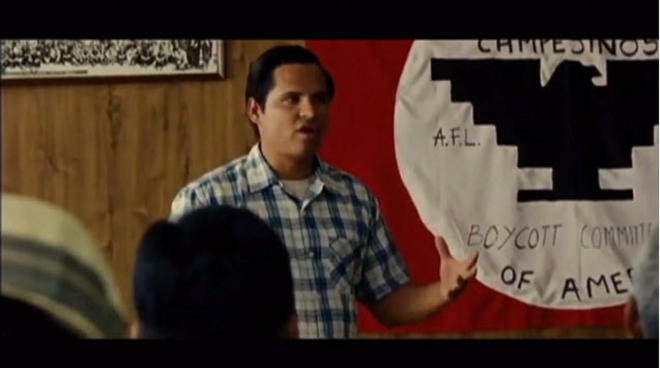 Huerta’s importance to the movement is represented. She pushes Chavez to “take it to the next level,” especially during the grape boycott. She convinces the leadership of UFW to take direct actions like contacting shoppers, college students and religious groups to stop buying grapes and put economic pressure on the growers to sign a collective bargaining agreement with the workers. It took five years of direct actions to bring the growers to the table.